Perhaps the most wonderful mystery of human nature is also one of its most banal characteristics. It is the peculiar but considerably gladdening fact that people wish to be good. The desire to be just, to do well, to prove oneself morally worthy, is an obviously common fact, but nevertheless an immense marvel. Why indeed should it be so? But it is so, and while conceptions of “the good” vary wildly, the wish to align with these conceptions is prevalent. Enter slavery. A commonplace phenomenon in ancient times, slavery had to be justified. Since it was clear that subjugated people were not happy about it, the social institution of slavery was in need of legitimization. People wanted to know that they were doing the right thing when buying, selling, and shackling others. Thus we read in Theognis, the Greek poet of the 6th century BCE, that “A slave’s head is never upright, but always bent, and he has a slanting neck” (translation by Bernard Williams). Here inborn, physical difference is used to explain and justify slavery. In the Bible (Genesis 9), we find Noah angry at his sons after they have seen him naked, and cursing, of all people, his yet-unborn grandson, Canaan: “Cursed be Canaan! the lowest of slaves will he be to his brothers!” Here an ancient curse is inserted into a holy text in an obvious ploy to explain future enslavement by the Israelites. Even the mighty Pharaoh, when conspiring to enslave the Children of Israel, had to justify himself and explain that it would only be wise to subdue the Israelites or else “they become even more numerous and, if war breaks out, join our enemies” (Exodus 1). As generations passed, it was not only the forms of slavery that changed, but also the explanations used to justify them. In a word, both became more elaborate. Modern ethical sensitivities will not permit outright chattel slavery, but we are all aware of the existence of sweatshops, child labor, and prostitution. We use complicated ways to circumvent and explain these and other forms of exploitation around us, as well as the benefit we derive from exploitation taking place at a distance. We do wish to be good. It is indeed hard to imagine our civilization without that specific myth and the ethos all of us inherited from it. The magnitude of our cultural debt to the story of the Exodus undoubtedly explains the immense popularity of Passover among all Jews, non-religious as much as religious. This year marks the 50th anniversary of the Six-Day War, and as such demands a reckoning. We can no longer pretend that the occupation of the Palestinian people, which began 50 years ago, is an inadvertent accident in the history of the State of Israel. Indeed, even Israel’s formal description of the occupation as “temporary” lacks genuine force of conviction. The State of Israel has been subjugating millions of non-citizens for more than two-and-a-half times the number of years that it hasn’t. It is a bitter, vicious tragedy that the people who bequeathed humanity with the ultimate story of liberation are the last people on earth who control a population without allowing it either equal legal rights or the political independence to determine its own destiny. We do, of course, have our reasons. Good ones. There are always explanations. We will find elaborate ways of giving the current situation legitimation. After all, we do wish to be good. But the brutal fact remains, and after all excuses and explanations, the fact remains brutal. Its perpetuation will mean that Jewish history will be forever stained by the occupation, and it will retroactively color the Jewish tradition. Passover, our celebration of liberty, will acquire an ironic, rancorous twist. 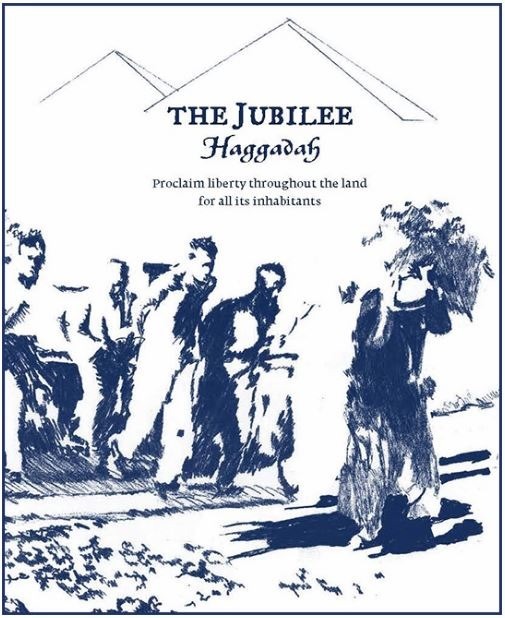 On this, the fiftieth year of the occupation, we at SISO created The Jubilee Haggadah, which conjoins the Jubilee commandment – "Sanctify the fiftieth year, and proclaim liberty throughout the land for all its inhabitants" – with the celebration of Passover, the festival of liberty. Thirty authors, artists and thinkers from throughout the Jewish world have joined together — in commentary, song, and moral outcry — and proposed contemporary interpretations to the Haggadah. We can no longer celebrate our liberty while deigning the liberty of others. Our freedom will not be complete, until their freedom will be complete. 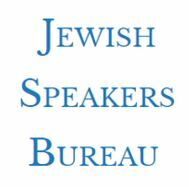 The Jubilee Haggadah can be seen here in English, purchased through Amazon or downloaded (in the Hebrew version) here. The Rise and Fall of Gush-Emunim, or The Last Jewish Attempt to Annul the Secularization Process.